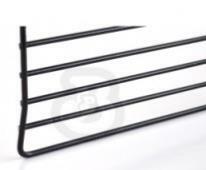 Replacement grills for charcoal and gas barbecues. 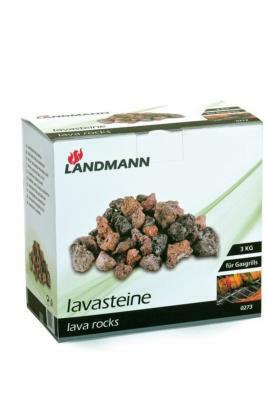 BBQ accessories including lava rock and BBQ cleaning brushes. 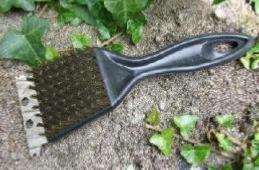 Cleaning Brush Suitable for cleaning charcoal, gas and electric barbecue grills. Wire Brush and scraper combined. 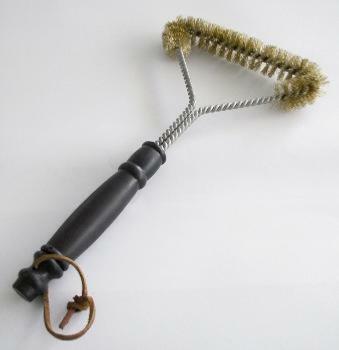 Easily clean your barbecue grill with this 3 point cleaning brush. 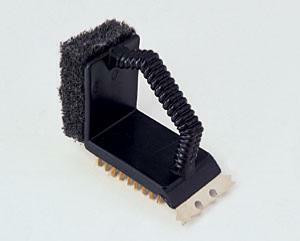 Barbecue Clean your BBQ grill while its hot with this new 12" T brush. 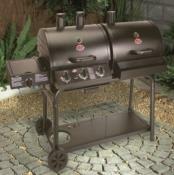 Makes it easy to loosen fat and food residue, so you always have a perfectly clean and appetizing barbecue. General BBQ cleaner de-greases and cleans burnt-on grime. Spray onto surface and leave for 30 sec, wash off with warm water. and cleaning brush. Especially designed cleaning fluid cleaner for stainless steel barbecues and grills. Heavy duty BBQ cleaner de-greases and cleans burnt-on grime. BBQ cleaner for the Q range of barbecues cleans burnt-on grime. Handles now with black inlays. 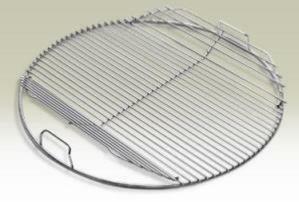 Suitable for Chicago, Florida, Granada, Newport, Vancouver or any masonry BBQ that requires a 67cm grill. Size 67 X 39cm approx. 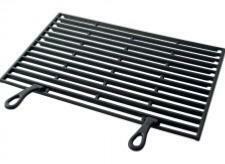 NEW black enamel coated replacement wire cooking grill for Grill and Bake BBQ'S. 62 X 36.5 cm - 24.5" X 14.25" approx. 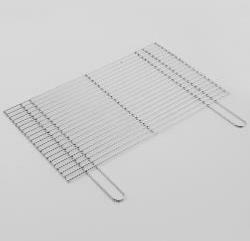 Super quality heavy duty chromium plated grill suitable for DIY brick built BBQ's and masonry BBQ's. Suitable for all Buschbeck garden barbecues. Whilst the other side features grooves that channel away excess cooking juices. 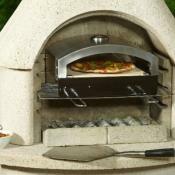 Suitable for masonry or brick built BBQ's. Handles Fold Back Over Grill for Storage. 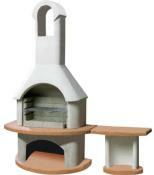 Suitable for all Buschbeck garden masonry barbecues. 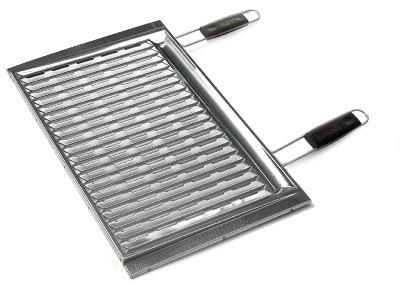 Stainless steel grill features soft grip handles and a dripping channel to catch fat and reduce flare ups. Suitable for Algeri, Congo, Dubai, Lagos, Martinica, One Plus, One Tower, Palma, Tarragona, Tenere, Touareg and York. 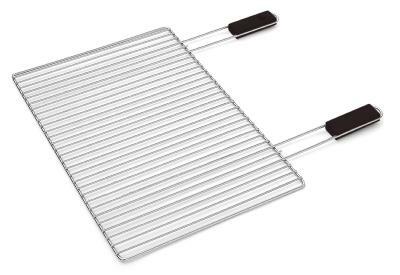 Grill Dimensions 67 x 40cm. 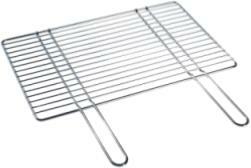 Warming rack suitable for masonry barbecues with a cooking area 60cm wide. 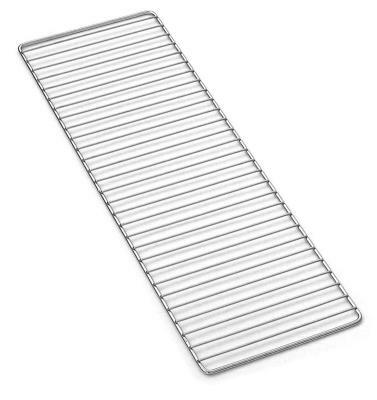 Half the depth of a normal size cooking grill.